Funeral services for Charla Rae (Miller) Arnce, 42, of Wynona, were held Wednesday, April 15, 2015 at Johnson Funeral Chapel in Sperry, OK. Reverend Jimmy Hatfield officiated and burial was in Nelagoney Cemetery in Nelagoney, OK. Casket bearers were Cameron Bell, Travis Martinez, Josh Newell, Dustin Miller, Devon Miller, and Willy Owens. Honorary casket bearers were Jerry Johns, Brandon Cole, and Steve Ford. 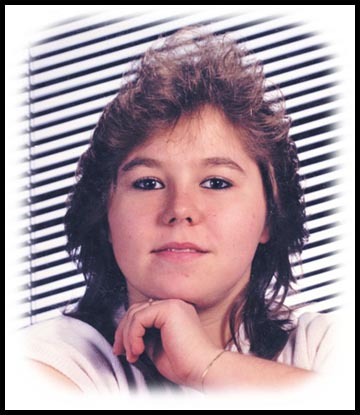 Charla was born December 7, 1972 in Ponca City, OK to Charles A. and Edith M. “DeeDee” (Fortney) Miller. She passed away April 9, 2015 in Pawhuska, OK. Charla attended Wynona Public Schools. She was a homemaker, cook and waitress. She is survived by her husband, Troy Arnce of the home; children, Cameron Bell, Sidney Bell, and Jacob Arnce, all of the home; mother, Edith “DeeDee” Miller; sister, Darla Newell and husband Troy of Bartlesville; five nephews; three nieces; two great-nephews; six great-nieces; numerous aunts, uncles, and cousins; and many other relatives and friends. She was preceded in death by her father, Charles Miller in 1994; sister, Tami Moore in 2010; paternal grandparents, Reece and Mandy Miller; and maternal grandparents, James and Irene Fortney.